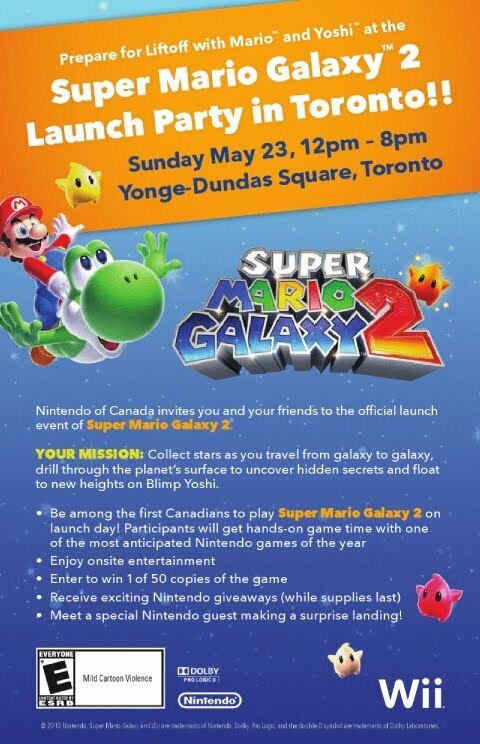 Super Mario Galaxy 2 blasts into Toronto next week! 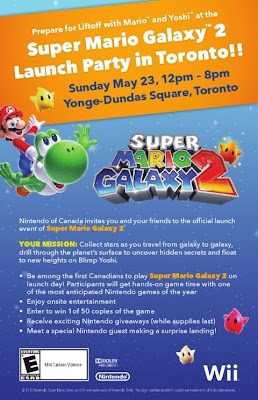 To celebrate, there will be a launch party on May 23rd at Yonge-Dundas Square. It's free and open to everyone - so what are you waiting for? Grab your flying Yoshi and take to the stars!